Loving these picks: Luki, Nolie and Ovi! Such happy sounding names. Z is making a little bit of a comeback: hello Zeak, Luzella and Aleezah! And Z showed up in our final name of the month…. Which is pretty awesome: let us introduce you to the one of the top 3 absolute most unique, cool, crazy names we have seen in all 15 years we’ve been open. SERIOUSLY! Props to Xzaivan and his parents. You’re truly one of a kind! Need more creative baby name inspo? 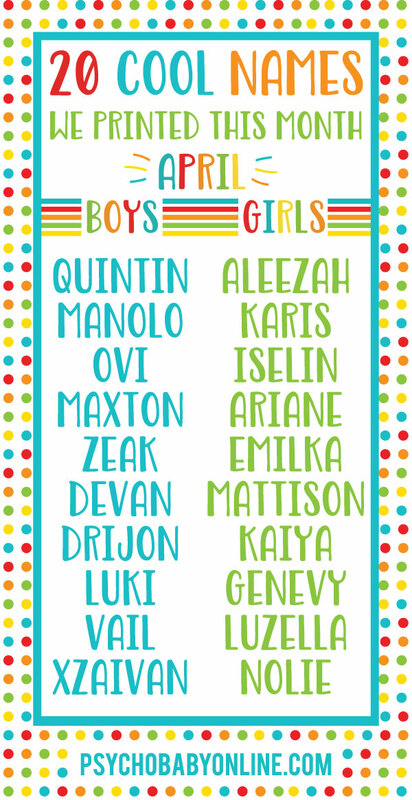 Click here for all of 2017’s crazy baby names & pop over to our website for the newest personalized gifts for your whole family!